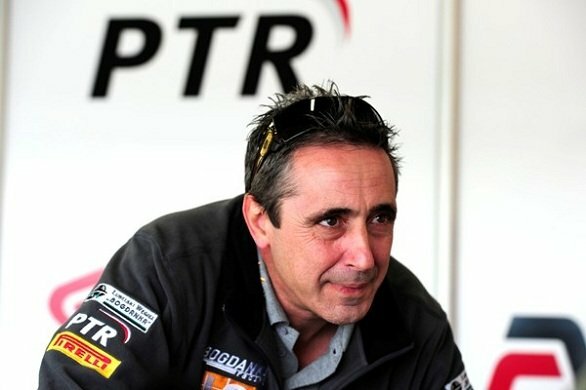 PaddockChatter were recently fortunate enough to speak with PTR Honda Team Manager Simon Buckmaster. As a man never afraid to put his opinion forward, the straight-talking ex-racer talks to us about his teams start to the season at Phillip Island, the lessons learned from last season and what the future may hold for his team. Firstly can you sum up last season and what you, as a team, learned? We continue to learn and grow as a team each year. We truly did our best last year and had Sam not made a series of mistakes after Silverstone he could have, at worst, run Kenan very close. In the end we were happy he got 3rd at the last round. Jules did a superb job after joining the team last minute before Australia and after round 4 he outscored Kenan for the season which we were very impressed with. These are all maybe’s though but 2nd and 3rd in the championship and 6 wins was not bad. With a five rider line up again for 2013, what are your expectations for this coming season? Of course if we had the choice we would consider less riders, however, as a team we have proved in 2012 we can run 5 riders successfully. Remember as well as 2nd and 3rd last year Ronan Quarmby had the first podium in a World Championship race by a South African for over 20 years and finished 8th in the Championship. 2013 is a very competitive year for WSS, Sheridan Morais despite the problems in Philip Island will I am sure run at the front, David Linortner showed real potential in Philip Island while Luca Marconi equaled his best ever finish and will go from strength to strength form here. At 17 years old Matt Davies is an exciting talent for the future and Nacho Perez, in his first year in WSS, will surprise as the season goes on. Philip Island went better than the results suggested, how was it from your team manager point of view? From my point of view very difficult. We are a great team and unfortunately a part supplied by an outside supplier undid us there. It was not just the problems for Sheridan who unfortunately had the batch of the faulty part, but all this cost us some momentum in the team. That said Luca did well, Matt at 17 was having his first WSS race as was Nacho. David crashed but had he not, a top 10 finish was on the cards. I do not normally believe in bad luck but after eventually sorting the engine problem for Sheridan he then had a rear wheel speed sensor fail on lap one of the race… Shez impressed me with his approach, he is riding a 600 Honda in South Africa in the break and I am sure will come back in a strong way at Aragon. How do you see the rest of the season developing, it’s a hotly contested series but do you feel podiums are close? We had the best bike in the Championship last year and we have improved again. Podiums and challenging for wins is always our aim and we have the potential for this. As you have said the series is hotly contested this year so it is not easy, but then again its not supposed to be or everyone would do it, eh! As an example, Sam looked to have Philip Island in the bag but Kenan and his team had worked well on overall race set up and in the end he won reasonably comfortably. I felt for Sam, we are still close to him as his personal manager. Do you have plans to run at WSB level? I would love too, everyone always wants to compete at the next level, lets see how the new rules unfold first. At this time it is not possible for a private team to compete so I prefer to challenge at the front in WSS than make up the numbers in WSB. Do you think the Dorna takeover of the series is a positive move? If so, what do you think they can bring to the table over the previous owners? I had the utmost respect for Paulo Flammini and Paolo Ciabatti. It is a real shame Paolo left, but hat said this is a new dawn and I hope we can work together with Dorna to make a better situation for us all. Would a similar set up to BSB with control ECU and restrictions on testing and engine internals etc help move things forward? Restrictions on testing in WSS would and for sure in WSB. There needs to be some restriction on engine and electronics in WSB, and as I said before, at this time a private team could not compete even if they had the budget. You can in WSS so we need to look at making this more of a reality in WSB. If you were in control of WSB/WSS, what would you implement to improve things? In a similar fashion to as I said previously. In WSS I would not do so much, 35 riders on the grid says it all really. I would restrict testing to official tests only and reduce the tyre allocation to try and reduce this cost. WSB is the bigger problem, I suggested WSS rules for WSB but some think this is too far and would restrict certain makes. That said though, in BSB it works quite well and a cut of expensive forks, swing arms, brakes etc would be a real cost saving. I suppose what I am saying is maybe I am wrong about full WSS rules, but with only 19 riders on the grid something needs to be done to make it possible for a team like us to look at moving up to WSB. What are your long term plans for PTR Honda, is the popularity and continued development of BSB a potential option? In a perfect world I of course would like to see us in MotoGP as the pinnacle of motorcycle racing. That said BSB have done a great job and should the best opportunity for us to win be in this series, and if it grew in Europe more, then maybe. In light of a certain manufacturer apparently curtailing twitter activity, what are your views on the use of Social Media within racing, a necessary evil or a genuinely useful means of real-time interaction? Thanks to Simon for taking time out of his busy schedule, we could have spoken for longer about a multitude of topics but hopefully he will be kind enough to talk to us again later in the season.